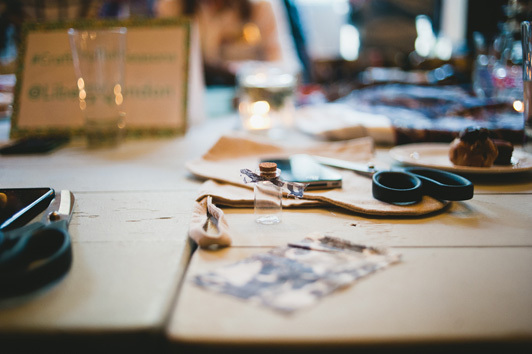 It's been so wonderful to see all the Crafting The Seasons posts following our event earlier this month, it was such a magical day. One thing I have taken from reading the posts and speaking to all the lovely attendees is how infectious crafting as a group can be. When you're working full time and have a lot of commitments, making can be pushed right to the bottom of the list but it shouldn't it so so good for you. The more I teach the more I believe in the power of using your hands and creating something unique. Christmas is hurtling towards us so I want to prompt everyone today to try and get a group* together and hold your own making party. I promise it'll be so much more rewarding than trudging around the shops. I have been running workshops for a good year now and learnt so much along the way. 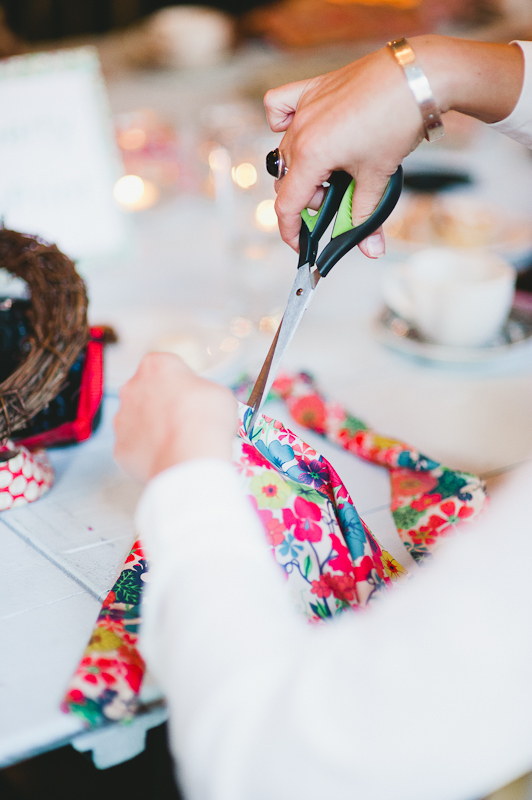 If the thought of hosting an afternoon is a bit intimidating then take a look at my handy hints to get you started. 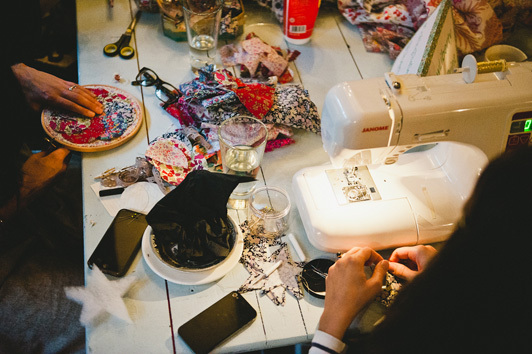 Keep your making table clear when you start, an overloaded table can be counter productive. Its best if you keep your materials on another table if you can. Choose a few simple projects so you can work and chat with at the same time. You don't need much - this is the biggest lesson I have learnt. Its surprising how little you need in materials. Select a simple colour palette to work with, you really don't need all the colours. 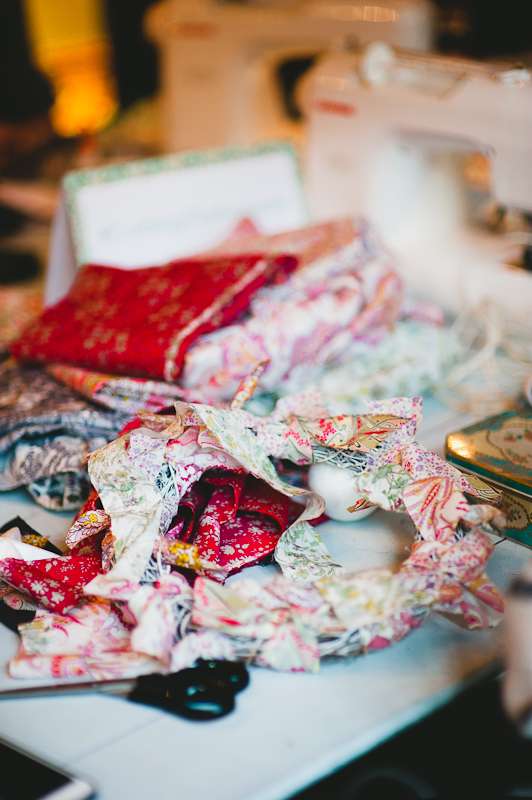 Want to use a something special like Liberty Print fabric, then split the cost with a friend half a metre can go a really long way! Provide refreshments - making is thirsty work so a little mulled wine never goes a miss! * you don't have to have a group, just scheduling a an afternoon to make alone can be just as inspiring.